With the month of December almost on us it is the perfect time to get your home in tip-top condition ready for the festive season. If you don’t want to have to worry about doing all those jobs around the house that seem to take forever why not consider using Maid2Clean to take care of these jobs around the house for you. You’ll get a professionally cleaned house (either regularly or a single one-off clean) but most importantly there will be more free time for you. More time to spend with your family, more time to do what you want to do and perhaps even more time to spend shopping for presents! 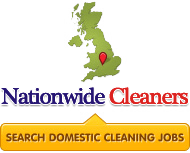 So why not find your local Maid2Clean office by typing in your postcode below, we are confident you’ll be delighted with the results. You can also view our reviews on Trustpilot to see what our customers have to say.